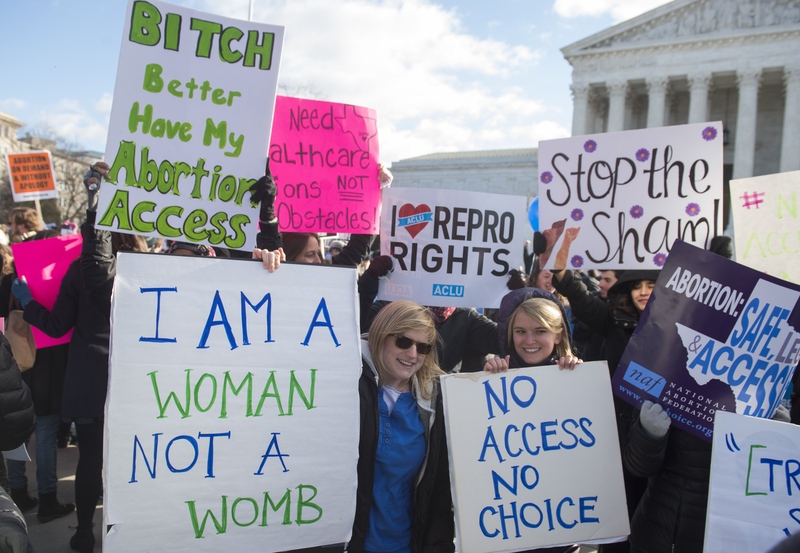 The Supreme Court's June 27 ruling in Whole Woman's Health v. Hellerstedt was a historic case for the entire nation, but especially for women who want the right to access safe and legal abortions in the U.S. After the SCOTUS ruling in favor of Whole Woman's Health, it was inevitable that both sides of the argument wouldn't be pleased. These photos of pro-abortion advocates outside the Capitol after the decision was revealed shows how historic this ruling is for women across the U.S. Although SCOTUS has ruled on abortion cases before (Planned Parenthood v Casey and Roe v. Wade are perhaps the most notable), the Whole Woman's Health case is significant for a few reasons. Most notably, it will reevaluate legislation like Texas House Bill 2, which placed restrictions on abortion providers that ultimately made it more difficult for women to access legal abortions. Moreover, after HB2 passed, at least 162 abortion clinics have closed across the country. Before the Whole Woman's Health ruling was announced, many speculated that the future of Texas' abortion clinics looked bleak if they are to continue meeting HB2's strict requirements. But after the historic ruling was announced in favor of Whole Woman's Health, these photos outside the Capitol building show just how impactful this decision was on countless women. This historic ruling is a win for women everywhere. Now that the two restrictions of HB2 were struck down, abortion providers won't be required to have admitting privileges within 30 miles of where they're performing the procedure. Moreover, and perhaps what I'm most happy about, is that abortion clinics won't be subjected to closure if they don't meet the ridiculous laws of having very specific hallway and doorway dimensions. #YesAllWomen would be an understatement on this monumental day for women's reproductive rights.